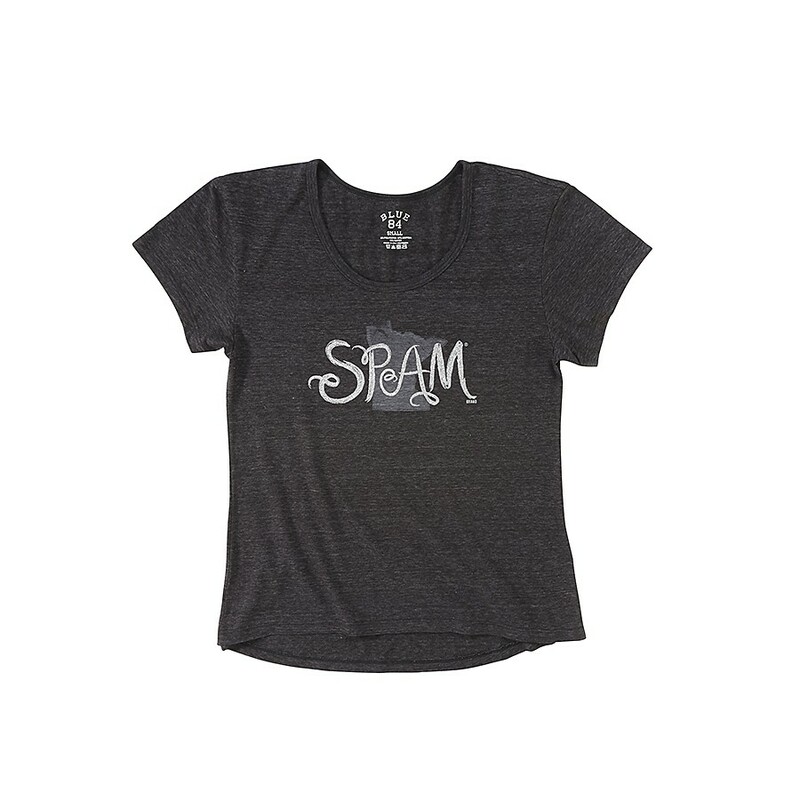 Black charcoal ladies short sleeved t-shirt with the shape of the state of Minnesota in grey with SPAM Brand in glitter print over it. Scooped crew neck with subtle drop-tail bottom hem. Available in ladies sizes S-2XL.